Anyone who is any good has passion for what they do. What sets us apart is our passion for what you do. There isn’t anything more compelling for us than helping healthcare companies develop the therapies of tomorrow by connecting them with visionary leaders today. 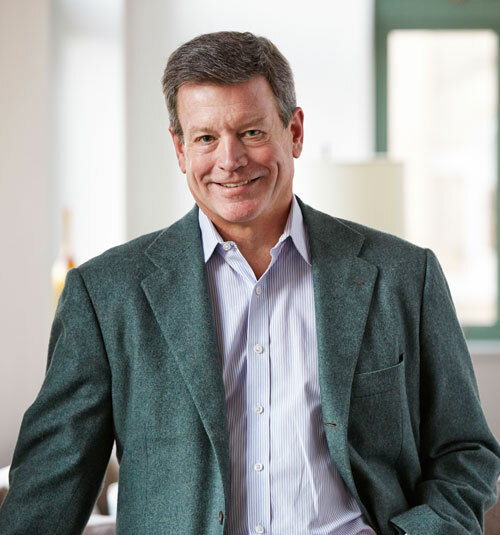 John Archer founded Catalyst Advisors in 2008, bringing with him more than 25 years of experience as a leading healthcare search consultant to companies from venture-backed start-ups to global leaders. He focuses on the recruitment of chief executive officers, board members and other C-suite executives for innovative biopharmaceutical and medical technologies companies. Prior to the formation of Catalyst Advisors, John was a senior member of a leading global executive search and assessment firm, where he served as a global sector leader and a member of the firm’s executive and operating committees. 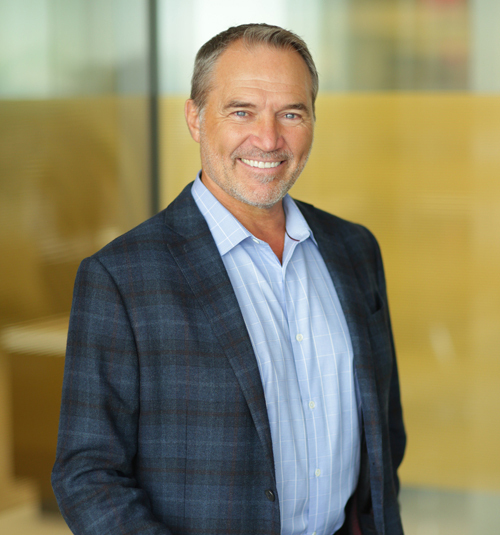 Earlier in his career, John worked as a senior executive at a publicly traded biotechnology company and later with a private investment firm evaluating healthcare opportunities. John received his B.S. from the University of Colorado at Boulder and his M.B.A. from the University of California, Berkeley. Simon Bartholomew leads Catalyst Advisors’ European operations from its London office. Simon’s previous positions in the executive search industry include leading the U.K. board practice of a major global search firm and leading the management assessment practice of another firm, where he helped pioneer the use of psychometric testing as an integrated part of the assessment process. Before entering the executive search industry, Simon worked at AstraZeneca and as a management consultant at Bain & Company. He holds a bachelor’s degree from the University of Nottingham and a doctorate from Cambridge University. Arnaldo De Lisio is based in the firm’s London office. 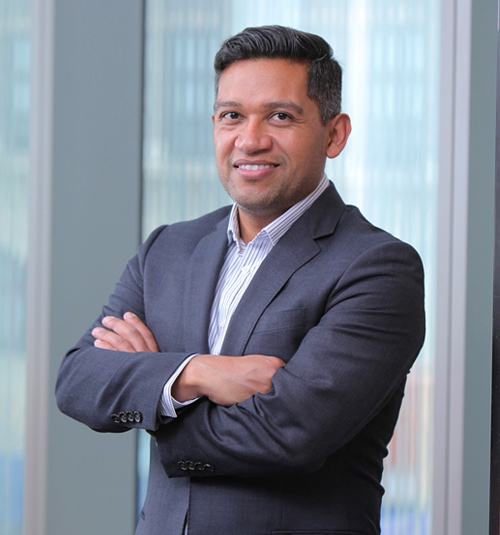 Prior to joining Catalyst Advisors, Arnaldo was a managing partner of a global life sciences recruiting firm headquartered in the United Kingdom, where he conducted board, CEO and other C-level recruitment engagements for clients in Europe and North America. As a managing partner, he was part of the executive team that developed the firm’s strategy and led its growth. Arnaldo has deep experience working with clients in highly innovative areas of medicine, including immuno-oncology, oncology and rare diseases. Earlier, Arnaldo was a start-up entrepreneur in Italy and a management consultant at Simon-Kucher & Partners in Germany, where he advised biopharma and pharmaceutical companies on pricing and reimbursement strategies. He holds a Global Executive M.B.A. from the Hult International Business School and Bachelor and Master degrees in Business Administration from the University of Molise in Italy. Arnaldo is fluent in English, Italian and German. Gilbert Forest is a partner based in Catalyst Advisors’ Cambridge, Massachusetts office. A leadership addition to the firm in November 2018, Gilbert brings over 20 years of experience in healthcare and life sciences executive talent solutions. He initially established his career in Boston, the hub of the burgeoning biotech industry. There he honed a key focus on talent strategies for research and development in the biotech and pharmaceutical industry. Gilbert has driven C-suite and board leadership strategies for countless companies focused on drug discovery and development. Before Gilbert’s experience in the executive talent space, he was an attorney at General Motors Corporation (GM), covering international alliances and joint ventures. He was also involved in intellectual property, technology transfer and regulatory issues. Gilbert holds a Bachelor of Laws degree from Laval University in Quebec City and an MBA from the University of Toronto. Sara Hagar joined Catalyst Advisors at its inception. Previously, she was a member of the Healthcare Sector at a leading global executive search firm, specializing in senior-level recruitment for biopharmaceutical and medical technologies companies. Sara joined that firm in its San Francisco office in 1993 and helped open the firm’s Menlo Park office in 1995 prior to relocating to Washington, D.C. in 1996. Before that, Sara worked for a boutique retained executive search firm focused on the recruitment of board members and senior management for biopharmaceutical and medical technologies companies. Sara began her career recruiting senior financial professionals for a broad range of industries. She is a member of the Healthcare Businesswomen’s Association. Sara received her B.S. from Bucknell University. Amy Bottoms joins Catalyst Advisors with 20 years of executive search experience. Most recently, she was an Engagement Manager at a leading global executive search firm, where she specialized in recruiting board directors, general management executives and senior technical leaders for the biopharma, healthcare IT, medical technology and healthcare services sectors. Amy began her career at Microsoft as a Corporate Researcher before entering the executive search industry in 1996 as a Research Associate. Amy received a B.A. in English Literature and a Master of Library Science from the University of Washington. Evan Fishel is based in the Bay Area. Evan joined Catalyst Advisors after nearly 20 years at a boutique healthcare executive search firm, where he served as vice president and manager of its San Francisco office. There, he handled board, management and scientific leadership assignments for venture-backed, private and public companies across the healthcare spectrum, including biotechnology, devices, diagnostics/personalized medicine, instrumentation, genomics, and healthcare IT. Previously, Evan served as that firm’s vice president of research. Evan holds a B.A. in English from the University of Michigan. Stephanie has nearly 20 years of experience in life sciences executive search, building teams and managing C-level searches for commercial, technical and functional leaders. Before joining Catalyst Advisors, Stephanie was a Practice Director at a boutique executive search firm, where she worked across the pharmaceutical, biopharma and medical device sectors. Earlier, she was a member of the Life Sciences Practice of two global executive search firms. Before entering the executive search industry, Stephanie was a member of the Healthcare Consulting Practice at Cap Gemini/Ernst & Young. Stephanie holds both an M.B.A. and a M.P.H. in Health Policy and Management from Emory University and a B.S. from Boston College. Brett has more than 15 years of experience in life sciences executive search. Before joining Catalyst Advisors, Brett was a vice president at a life sciences search firm, where he led the firm’s management-level engagements and participated in board member and board chair searches. Earlier, he spent a dozen years at another life sciences recruitment firm, ultimately as vice president and head of recruiting, managing a team of several recruiters and expanding the firm’s client base. Brett holds a B.A. in Journalism and a B.A. in Political Science, both from Northeastern University. He is actively involved in global health organizations focusing on the needs of at-risk mothers and children in Uganda. Susan Newman has nearly two decades of experience helping executive search firms, corporate human resource departments, academic institutions and non-profit organizations research and identify life sciences senior executives for medical, scientific and C-level leadership roles. At Catalyst Advisors, Susan oversees the staffing, workflow and quality of the firm’s research team, and provides research support directly to recruiters and clients as a member of engagement teams. Before joining Catalyst Advisors, Susan started and led the life sciences practice of a national recruiting firm and held a number of positions in technical product development and commercial operations in the medical device and diagnostics industry. Susan has served as a member of the board of directors of the National Human Resources Association’s South Florida Affiliate and as president of a South Florida non-profit organization supporting music education in local schools. She holds a B.A in Biology from Simmons College in Boston. Based in our London office, Lucy Thellusson has more than 25 years of research experience at the board and senior executive level for both public and private companies across a range of sectors, including specialty healthcare. Lucy joined Catalyst Advisors in 2014 and handles European and global searches, advises the firm’s recruiters and helps to ensure effective communication with both clients and candidates. Lucy’s prior experience includes serving as co-head of research for a global executive search firm, where she helped train and oversee a team of fifteen researchers. Lucy holds a B.A. in English from Durham University and a certificate in professional coaching from the University of Strathclyde. Ayn Teigman, based in Catalyst Advisors’ New York office, is responsible for the research component of client engagements, allowing engagement teams to identify board, executive committee and senior management candidates that match position specifications and fit with client culture. Before joining Catalyst Advisors, Ayn was Head Paralegal and Office Manager for one of New York’s leading matrimonial law firms, where she supported litigation, liaised with clients, vendors and court officials and trained staff members. Before that, she held management roles in advocacy and grassroots funding organizations in Washington, D.C., and Tallahassee. Ayn holds a Bachelor of Arts degree in Political Science and Theater Arts from Florida State University. Alyson Archer has 20 years of experience leading marketing, communications and investor relations functions for global banks and professional services firms. Based in Catalyst Advisors’ New York office, Alyson oversees all aspects of the firm’s infrastructure, development and marketing. Prior to joining Catalyst Advisors at its inception, Alyson was the Director of Global Communications at a major executive search firm, where she led all aspects of internal and external communications across the firm’s 40-plus offices. Before that role, she was Director of Public Relations at Softbank International Ventures, developing and executing communications strategies for all of Softbank’s portfolio companies outside of Japan. Prior to joining Softbank, Alyson was in the marketing department at Bear Stearns, helping position the firm’s clients for initial public offerings and mergers. Alyson holds a Bachelor of Arts degree in Psychology and English Literature from Binghamton University. Based in New York, Snow Montemayor manages the firm’s financial operations, human resources and technology and also directs the firm’s Project Coordinators in their work on client engagements. Prior to joining Catalyst Advisors, Snow was at a financial advisory firm, representing the firm and its clients at shareholder meetings of businesses in the sustainability sector. Before that, Snow managed commercial business development for a leading regional landscaping and lighting contractor, where he increased his division’s revenue by 71 percent in two years. Snow holds a B.A. in International Relations from St. Mary’s University in San Antonio and an M.B.A. from Pinchot University in Seattle.